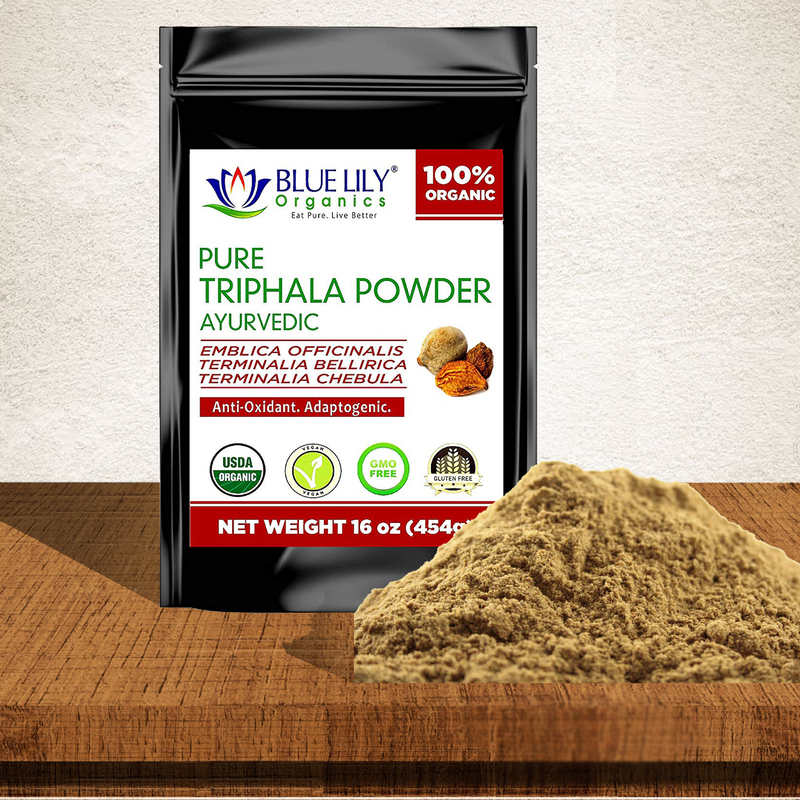 What is Organic Triphala powder? Blue Lily Organics Organic Triphala powder carefully blends together using the purest ingredients to bring you a very ancient herbal Ayurvedic formula. 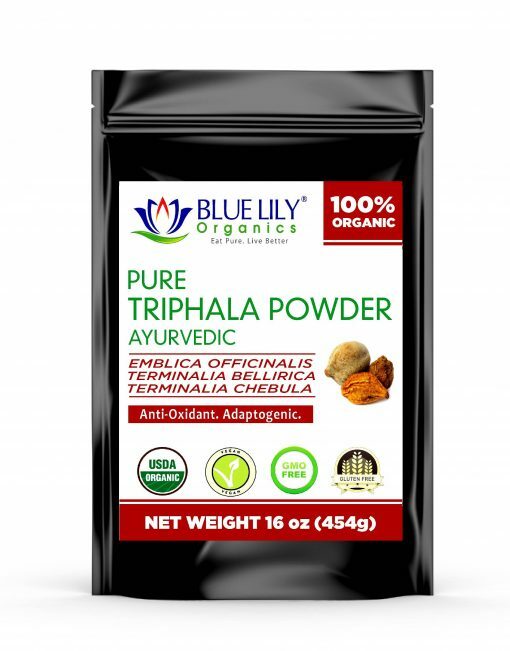 Triphala Ayurveda- Literally means ‘Three Fruits’. 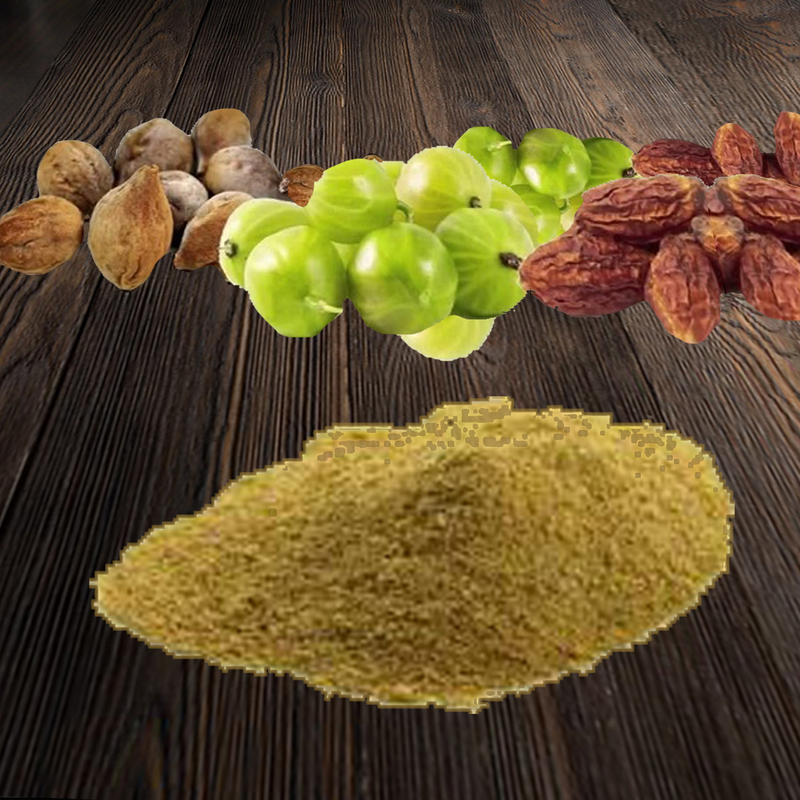 The fruits from three trees (Emblica Officinalis, Terminalia Bellirica, Terminalia Chebula) powders and also blends according to an ancient Ayurvedic herbal formula. 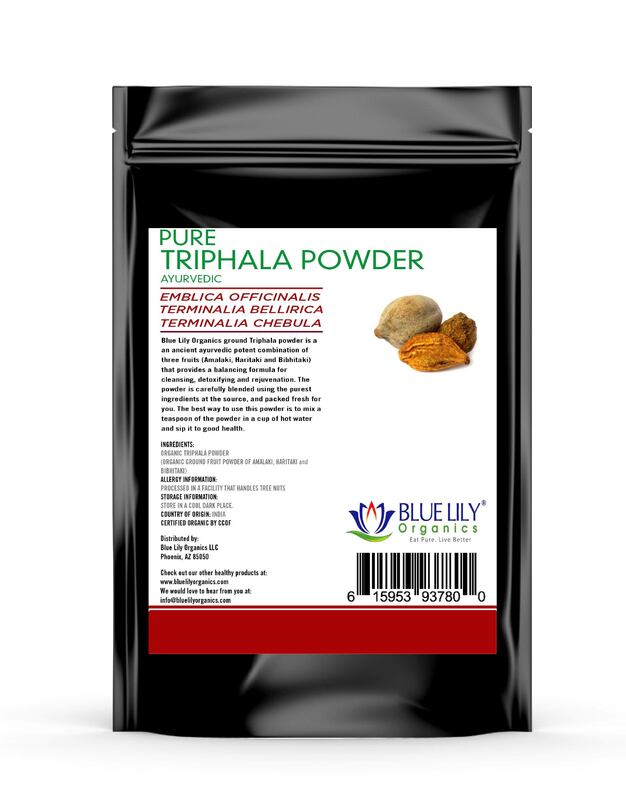 Organic Triphala powder has innumerable benefits. Although it primarily known and uses for constipation and maintaining regularity, its uses believes in providing various health benefits also that include: Improved digestion, Gastrointestinal tract cleanser, Improve circulation, Improve liver function, Reduce and maintain blood pressure, Anti-inflammatory and Anti-viral properties, Boost the immune system, Also known to assist in weight management regimen. 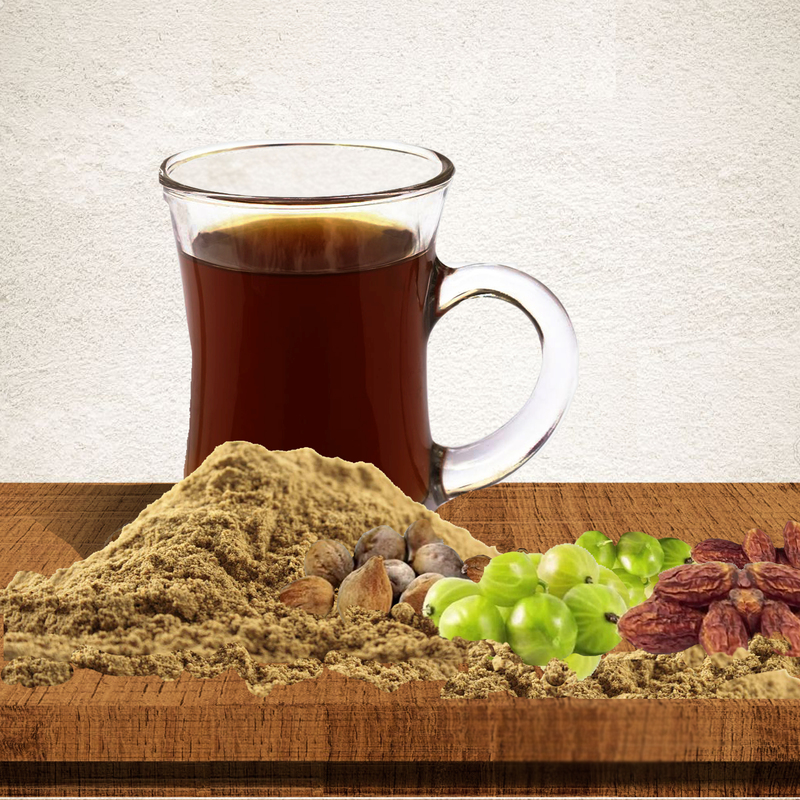 We love the numerous benefits of Triphala, however, it has a naturally bitter taste that may require getting used to. Does not dissolve in water. By applying Organic Triphala powder topically to the skin, it accelerates the healing of bruises and sunburns. 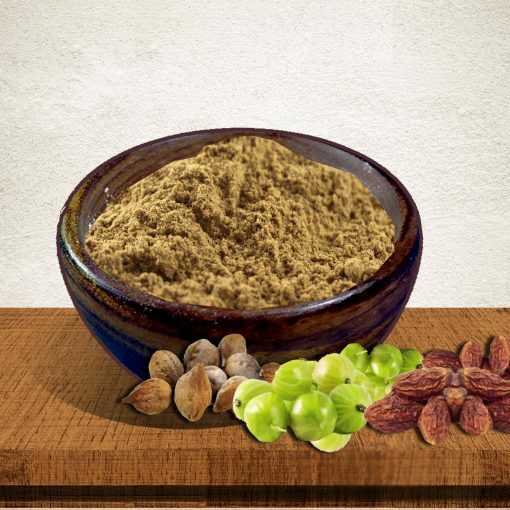 Traditionally Organic Triphala acts as a tonic for the hair and washes the eyes. How to Take Triphala Powder? 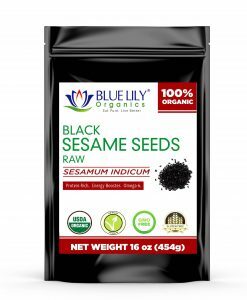 Drink it as a tea also- by mixing 1/2 tsp with hot water. Stir, cool and enjoy the cuppa tea. 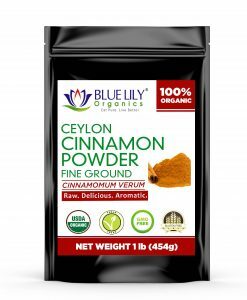 Best suggestion is to take this powder on empty stomach either before dinner or before breakfast. For a soothing drink, this powder mixes with ghee, a kind of clarified butter, and adds to hot water. When mixed with honey it turns to an edible paste. NOTE: These statements are not evaluated by the FDA. 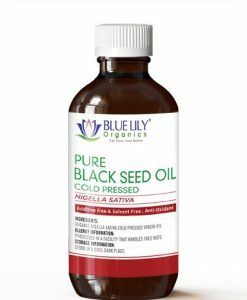 But this product not intended to diagnose, treat, cure, or prevent any disease.